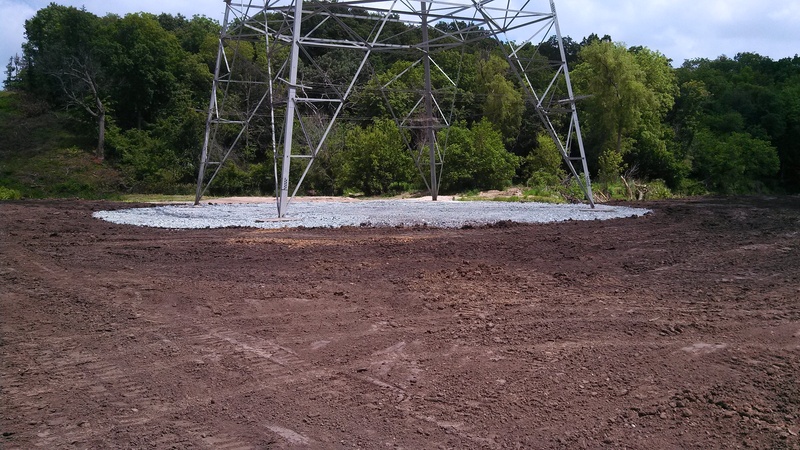 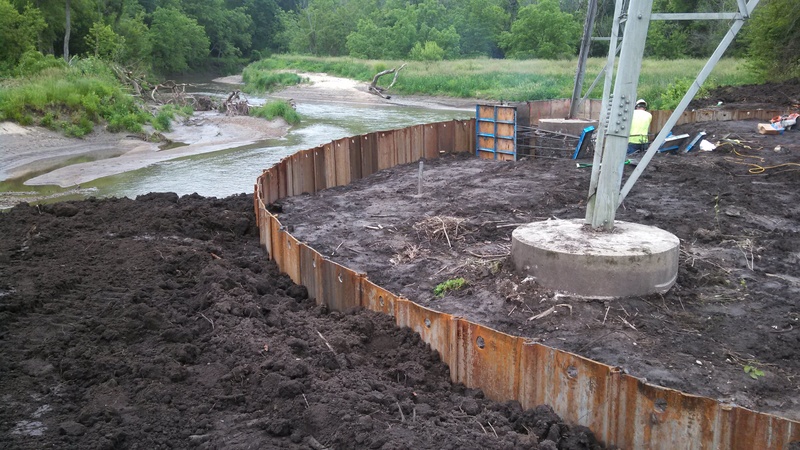 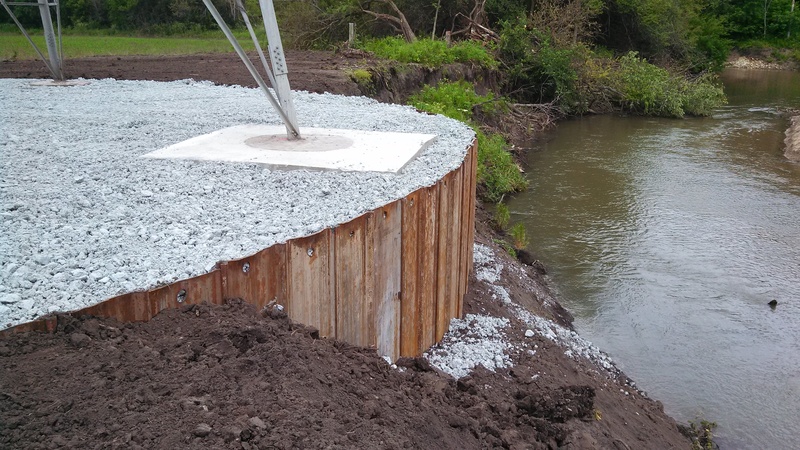 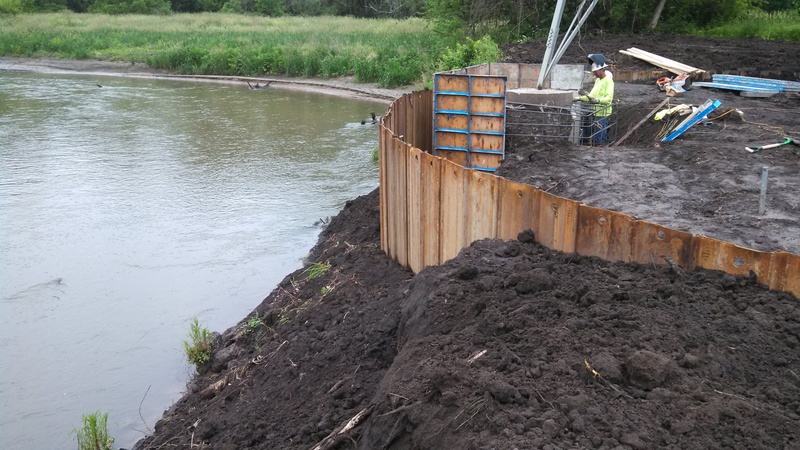 On this project, General Constructors was hired to design and install an erosion control system to stabilize the soil around a high voltage powerline tower adjacent to a creek. 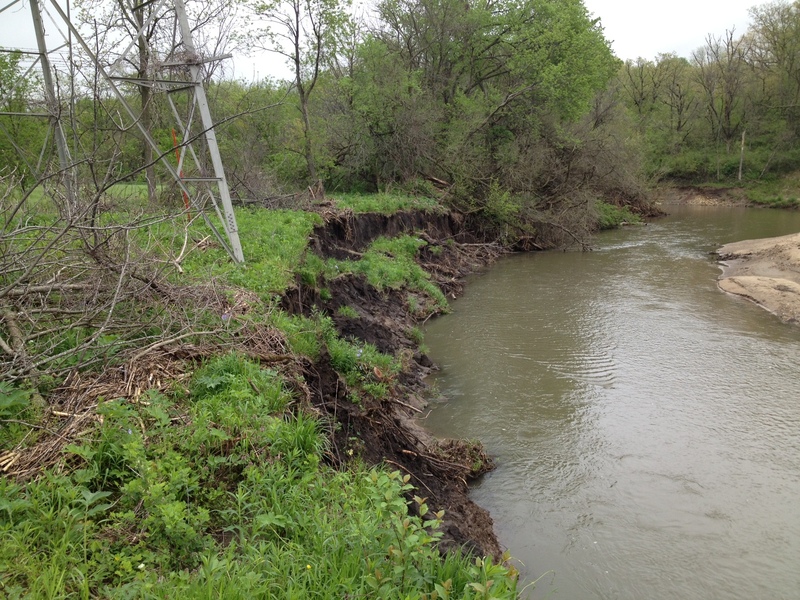 The creek was rapidly eroding the slope, and was beginning to undermine the tower foundations. 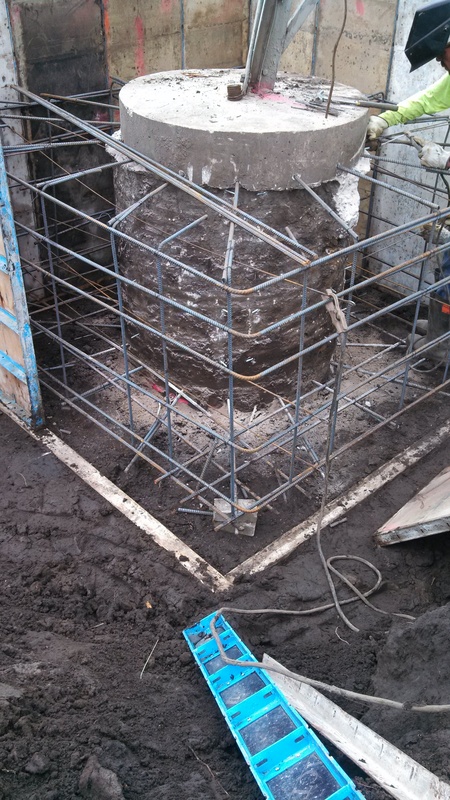 We installed a 72' diameter sheet pile cell utilizing 25 foot long PS 27.5 steel sheet piling centered around the tower, replaced the vegitation in the cell with filter fabric and crushed stone and shored up the undermined foundation.